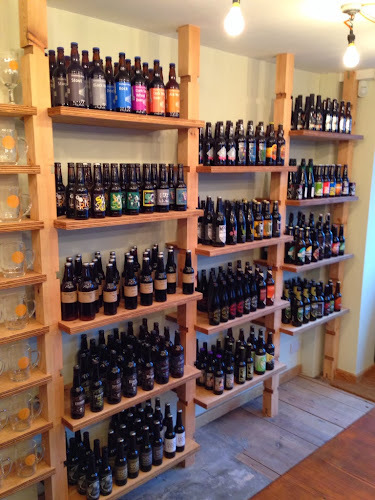 St Albans is a great place for beer lovers - it's the home of CAMRA and has a ridiculous amount of fantastic old school cask ale pubs - but what is really missing is a proper beer shop. Until now. 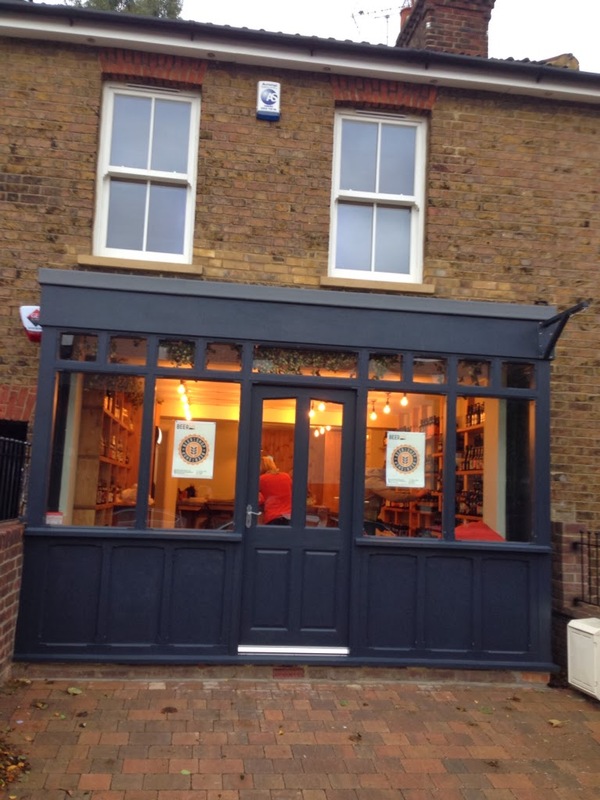 Nobody was more pleased than me to hear that the boys of "Beer:Shop" were making the move from farmers market stall holders to fully fledged beer shop owners - and that St Albans was going to be their new home. 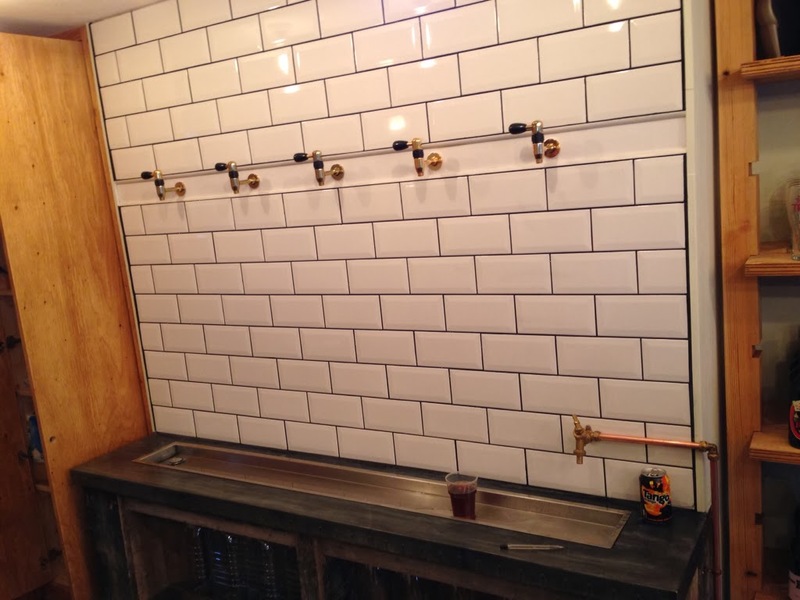 Having a quick sneak-peek of the new premises on Friday, and then returning today to buy some bottles, I've walked away mighty impressed. 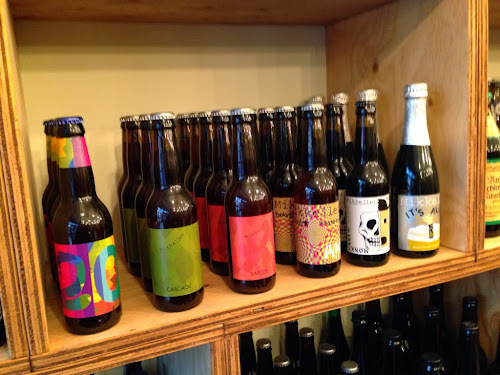 The selection is extremely impressive, with some awesome American and European breweries filling the shelves alongside the best British beer has to offer. From the UK you've got Thornbridge, Buxton, BrewDog, Kernel, Partizan, Siren, Moor, Fyne Ales, RedWillow, Dark Star, Beavertown, Weird Beard, Redchurch, Lovibonds, Wild Ales plus local (Hertfordshire) brews from the likes of Tring and Red Squirrel - which you can also buy as draught carry outs from the taps (cask and keg). From Europe there are established favourites like Orval and Schlenkerla as well as rarer beers from Mikkeller, To Øl and Nogne O. And it's a similar story with the American selection, which had plenty of stuff I've never seen available before, alongside some classics like Black Chocolate stout from Brooklyn and Dead Guy Ale from Rogue. What I was most impressed by was that it is very much a selection rather than an attempt to stock everything. It's a very well curated range of beers meaning that you aren't overwhelmed by choice but have absolutely loads to sink your teeth into. 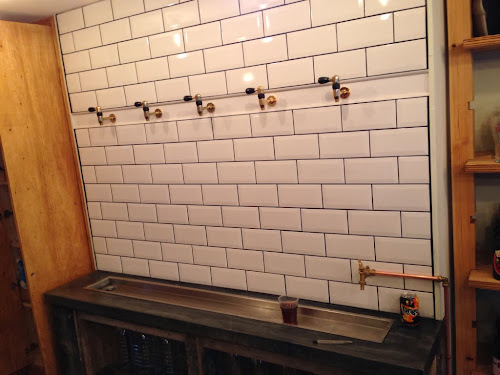 They will also be doing some tasting events and tap evenings, making use of those very cool wall mounted taps. St Albans drinkers should be very pleased this place has opened and I can't see it being anything other than extremely popular. Beer Shop, London Road, St Albans.